Farrington “Ferry” Carpenter was a Harvard- and Princeton- educated rancher whose autobiography, Confessions of a Maverick, is one of the most frequently checked out items in our library collection. 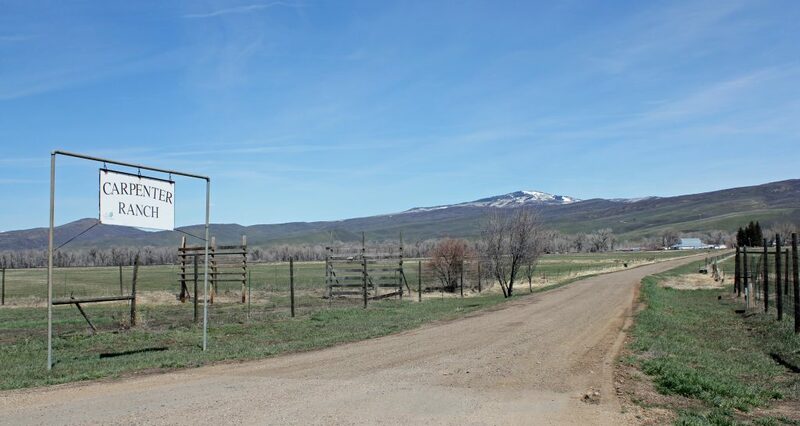 Today, his Routt County ranch, still a working cattle operation, has been preserved as a nature center. Originally from Evanston, Illinois, Carpenter (1886-1980) spent time in New Mexico as a teenager, developing a lifelong love of the West. During his college years, he would spend summers in Colorado, where he began purchasing cattle. After obtaining his law degree at Harvard, he moved to Colorado full-time and became the town of Hayden’s first lawyer. He was most devoted to his cattle ranch, however. “He became one of the best informed men in the country on land and grazing laws,” according to his obituary. He served as the first director of the U.S. Grazing Service and was one of the primary authors of the Taylor Grazing Act. He also served in the State Legislature, as District Attorney for the Fourteenth Judicial District, and as the state’s first Director of Revenue. Today, the Carpenter Ranch near Hayden, Colorado, is overseen by the Nature Conservancy as a research and education center focused on nature, agriculture, and conservation. Visitors to the ranch can explore the original house and barn. The site is also known as a hot spot for birdwatchers, and guided birdwatching hikes are available. Carpenter told the story of his exciting life in Confessions of a Maverick, published by the Colorado Historical Society in 1984. You can check out a copy from our library or through Prospector. Also see the article “Butting Heads: Farrington Carpenter’s Dramatic Role in the Taylor Grazing Act of 1934,” which appeared in the May/June 2010 issue of Colorado Heritage and is also available for checkout from our library. Previous Book Club Updates: You Spoke and We Listened! Next Bag of Tricks – Money, Money, Money.